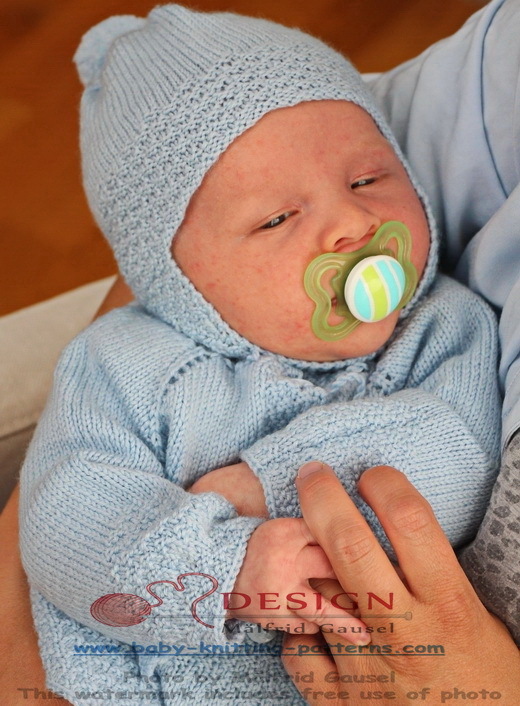 This pattern is upsized from one of the patterns on my site www.doll-knitting-patterns.com, 0032D- Isabell and Isak where you can see photos of many details with the doll version that might be of help when knitting the baby version. ... the color you prefer and I am sure your baby will be lovely dressed in these clothes in any color. ... for the little baby to wear. 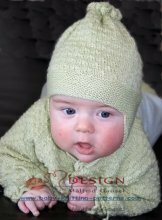 All edges is knitted in dbl moss sts and together with these small triangles in dbl moss sts I think the cardigan is lovely for the baby. As you will see the pants is knitted a little different. It has suspenders (brances) buttoned round the waist. 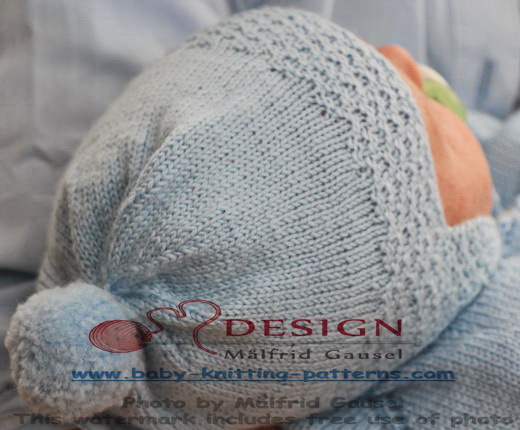 The cap has a “big” tassel (See picture) and fit nicely on the baby. You will also find a bonnet for a little girl baby here. 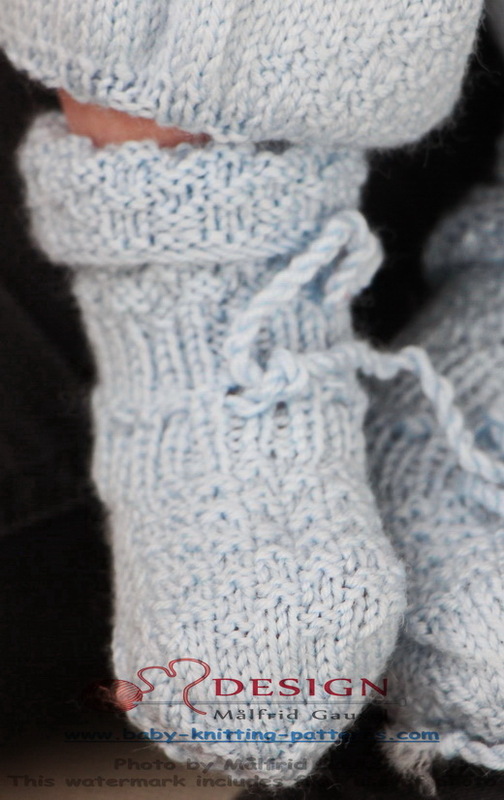 The socks are long along the legs and sit well on the legs. 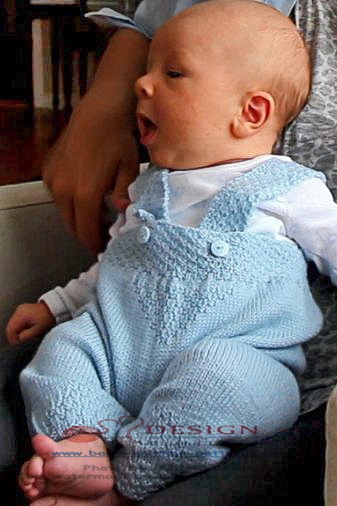 I think the little baby looks lovely in these baby clothes! 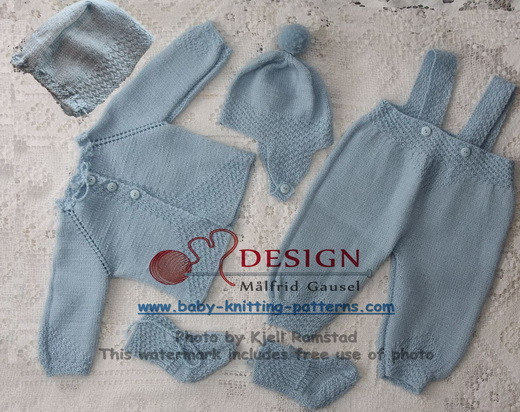 want to knit these clothes for your baby. Should you have a little girl who loves playing with dolls you can find the pattern for dolls on the doll web site. 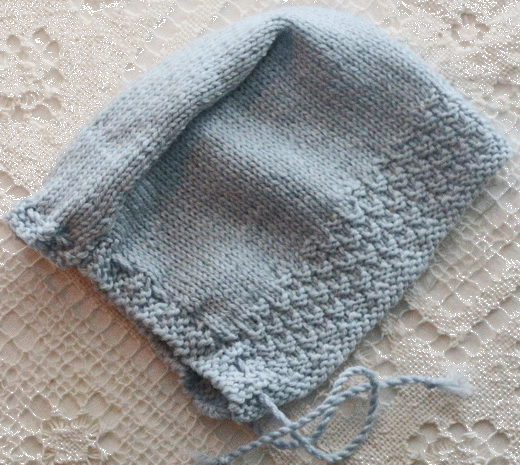 You will also find a bonnet for a little girl baby here.